Paris is among my favourite European Cities. Christina giving birth to our first child 14 month ago, have not change that one bit. It has changed how I perceive the city and present itself with a new set of joys and challenges. 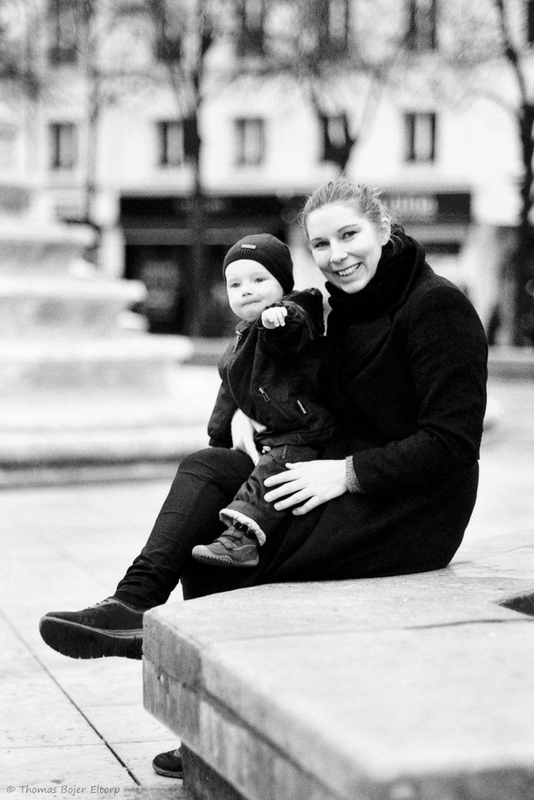 Parisians in general are amazing and very open towards families and kids. I know we were an involuntary nuisance on a couple of occasions, but staff, employees and locals seemed totally at ease with it and on top of us and the situation. One of the things we like about Paris is the food, sidewalk cafes and the coffee. Unlike in Northern Europe where a good coffee is a massive jug with half a liter of milk, a bit of coffee and if possible massive amount of syrup or sugar. 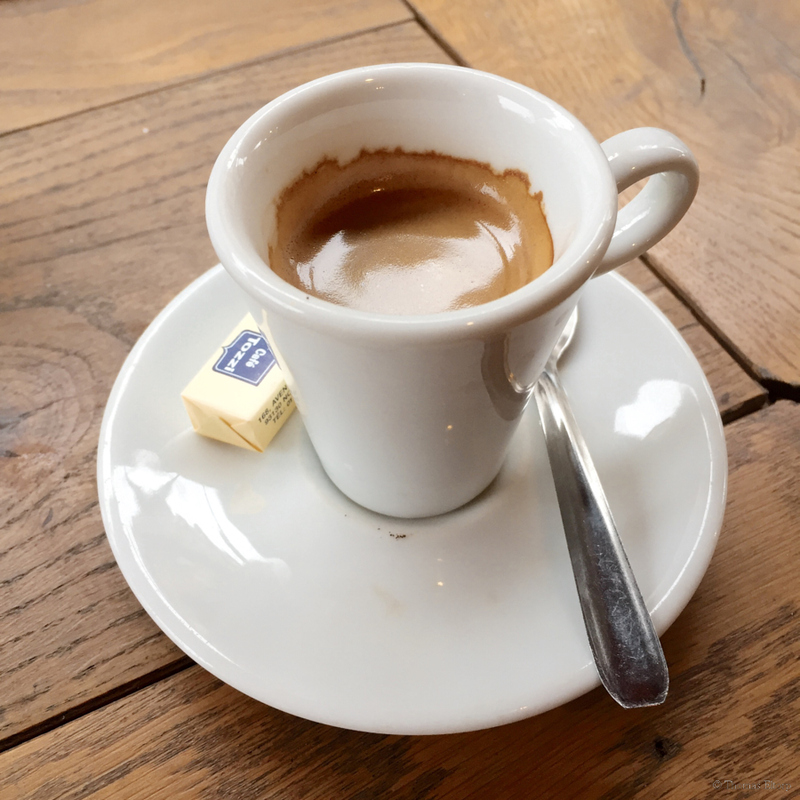 Paris is like most of France and Italy a place where a normal coffee is an espresso and most places seem to be passionate about providing a quality cup of coffee. I am not hating on people preferring coffee the Scandinavian or American or what it might actually be, way. My preferences are just different and more in sync with the French/Italian style of coffee. 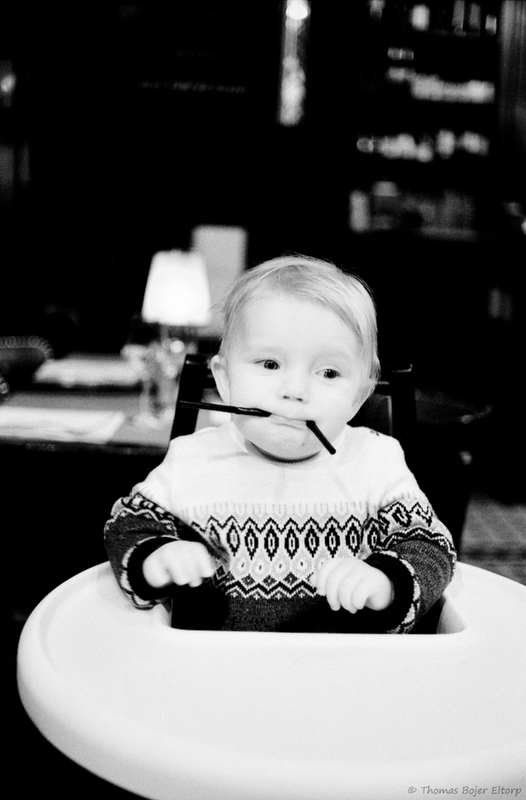 Now as Scandinavians we expect every restaurant and café to be armed to the teeth with toddler seats and toddler chairs. We may have to leave our stroller outside, but a seat for our toddlers are expected. Paris is the exact opposite, they almost always have room for your stroller, but toddler seats or chairs are a very rare occurrence. Probably down to cultural differences, but if you still like a chair or seat for your toddler then we found these 4 places fabulous. Travelling with a Toddler also means a shift in priorities, having been to Paris a lot the Eifel Tower, Triumph Arch and other basic sightings are a little less important. Centre Georges Pompidou and to some extend Louvre are still places I aim to go whenever in Paris though. 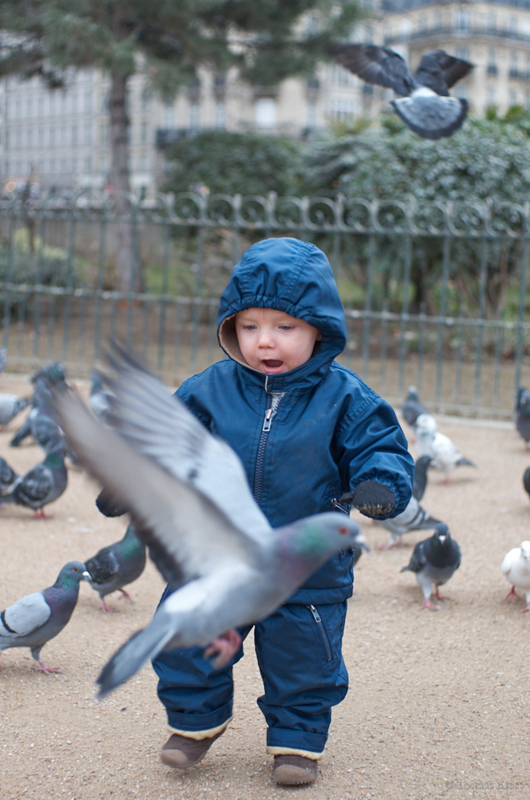 For a toddler, being in Paris is very little about exhibitions and more about travelling in their pace and make sure they have a great time. A construction site nightmare at first sight, but a massive shopping mall below grounds and towards Rue de Viarmes is a really nice playground area, not sure when it reopens to the public though..
Not really a toddler destination per se, but while browsing the various markets, we had nothing but stellar service and total toddler friendliness. Most importantly our little one had a ball. It is a lot of time on your feet, toddle paced and no rush. In our case around 20K per day. Public transportation is great and mostly reliable, but do not expect to see a lift and if you find one expect it to be out of order, so be prepared to negotiate a lot of stairs and escalators. 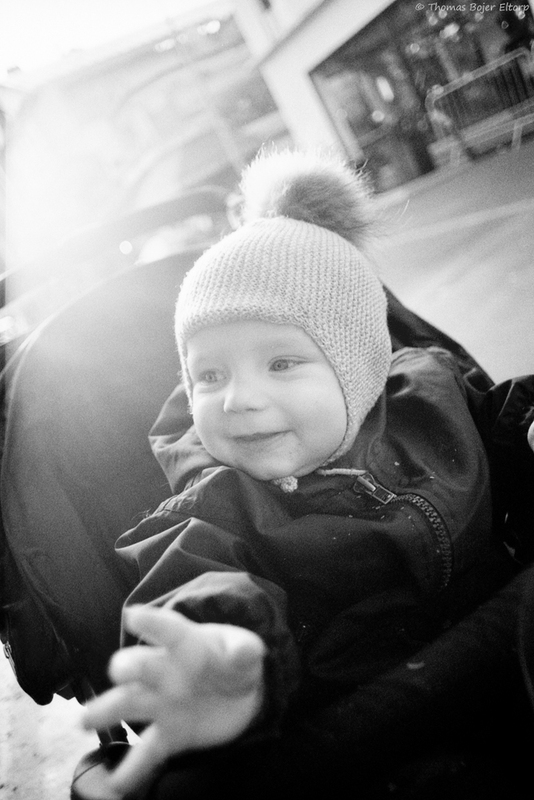 We travelled as a couple and were on our feet +12 hours a day and averaged around 20K of walking daily, so a good stroller and the fact we were two to carry it when negotiating stairs and escalators ,made it perhaps the most useful piece of kit we had with us. France is great food country in general and the super markets carry a great organic selection, thus a good selection of toddler friendly snacks and in between meals are available, you do not need to really bring anything, most things can be bought while there. If you travel alone with a toddler you want the smallest and lightest stroller you can find and a backpack for all your stuff, because there is a good chance you will be negotiating a massive amount of stairs with your toddler on one arm and the stroller in the other. 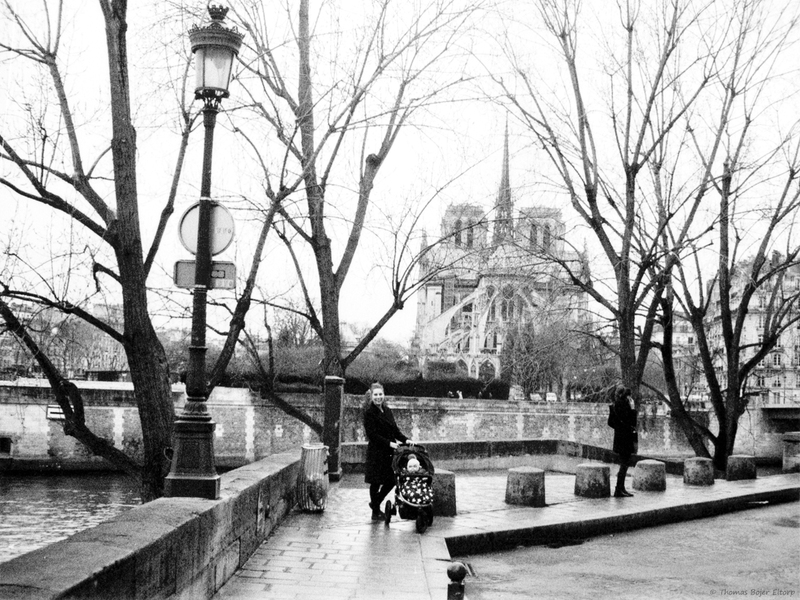 Now there is no doubt that the terror attacks in Paris has changed Paris. Armed forces were visible in pretty much any part of the city, it does not make for an unsafe Paris at all, just a changed one. The soldiers we met were all very friendly and tried staying out of the way as much as possible, but having your son chasing pigeons in front of Notre Dame Cathedral just does not feel as relaxed when it is under supervision of four heavily armed soldiers. I remember Paris as a different place, at the same time it is perfectly understandable why it has changed and why precautions are being taken. 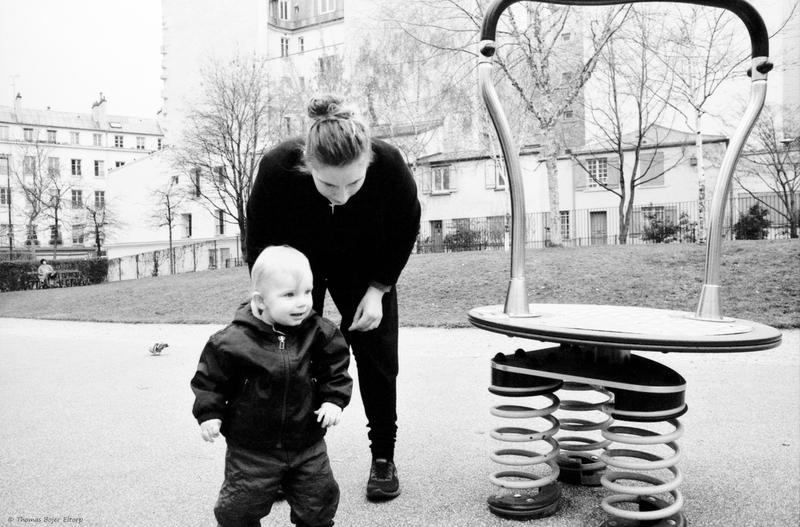 Overall Paris is an amazing destination with and without a toddler. Go see it soon! Thanks dear for the articles…. Really helpful for me and it’s according to the purpose best infant toddler shoes.